August 14th at 6:00 p.m. 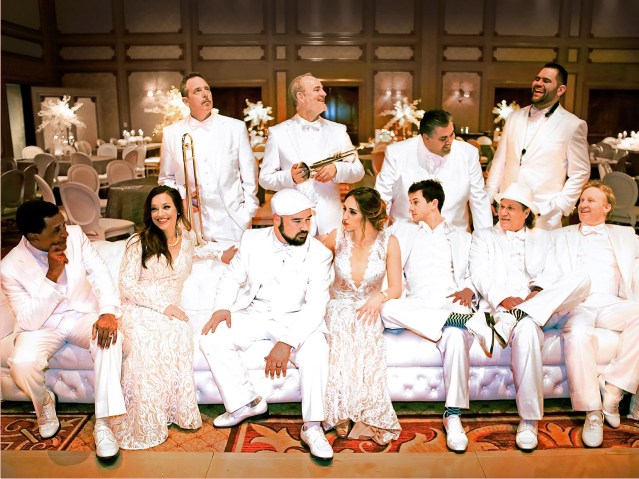 Together since 2009, this group of talented instrumentalists and singers entertain throughout the world, offering everything from Motown to classic rock, along with Latin, current dance hits, and much more. With a repertoire that includes songs from Bruno Mars, Meghan Trainor, Journey, Earth, Wind & Fire, the Four Tops, Marvin Gaye, Michael Jackson, Santana, AC/DC, The Temptations, and Celia Cruz this cast of all‐star performers have played over 700 shows together.